Latin for 'flowers on branches'. Baccaurea flaccida Muell.Arg. in DC. Baccaurea propinqua Muell.Arg. in DC. Baccaurea sapida (Roxb.) Muell.Arg. in DC. Baccaurea sylvestris auct. non Lour. Baccaurea wrayi King ex Hook.f. 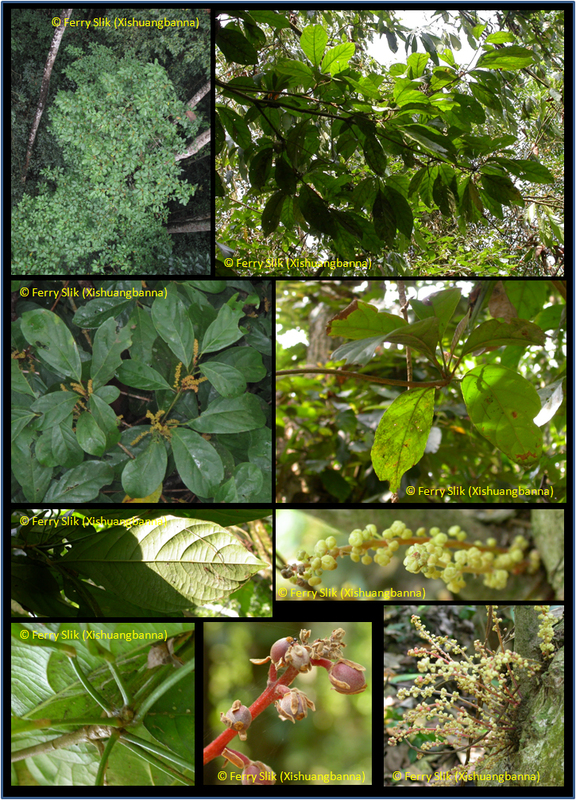 Primary rain forest and cultivated. Soil: sand, granite. Altitude up to 1700 m.
The fruits are edible; the pulpy, yellow aril is somewhat acid with an agreeable taste. The wood is used for furniture and cabinetwork. From India and southern China and Hainan into Indochina and Peninsular Malaysia.